One of the most alarming constitutional violations of prisoners' rights today is the denial of adequate psychological and medical treatment. In this prison alone, I have met dozens of inmates who have glaring psychological and medical problems. One quintessential case is the guy who literally tried to slice his genetalia off with a razor blade. This guy has also been kept in handcuffs and leg irons for several months, rather than be sent to a mental health facility. Keep in mind, while inmates at ADX are warehoused in the infamous "control unit," the unit where I am writing you from, it is prohibited to be prescribed psychotropic medication. Thus, guys who need psychotherapy in conjunction with psychotropic medication to function are not able to receive it while assigned to this unit. On average, inmates are serving four to eight years in this unit. As for the inadequate medical treatment, the simplest way to describe this is as follows: for the entire prison complex of Florence, which consists of a camp, FCI, USP and the ADX Max Penitentiary, there is only one doctor and one dentist to service the entire complex. At ADX the doctor visits only one and one half days per week, and the dentist visits only twice per month. Thus, the waiting list to see either of them is astronomical. This comes as no surprise since there is over 2500 inmates living on this complex. I waited one year to receive my chronic care exam for Hep C. I also waited between 8 and 14 months to be seen by the dentist. As a consequence of these egregious violations, I have filed two lawsuits since 1999. Twice now, media representatives, R. Scott Rappold, from the Gazette in Colorado Springs, and Henry Schuster, from 60 minutes, have contacted me in order to set up interviews with me at this prison. 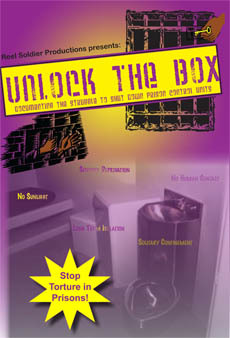 The prison rules clearly permit prisoners to have contact through visits and correspondence. However, the former must be approved by the Warden. So far, the warden has not approved a visit for me or any other inmate in the past nine years. Apparently, prison officials have something to hide. Even though in the prison regulations it states, we encourage inmates to maintain ties to the community, prison officials' actions speak otherwise. 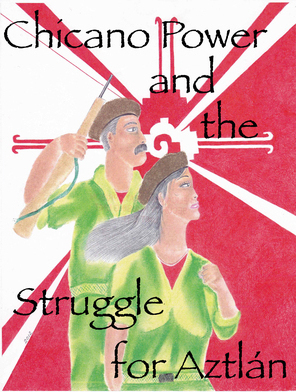 Finally, it is good to read in the "Under Lock and Key" section that some brothers and sisters are still participating in the arduous yet all-important struggle for reform. Although not many are here in my midst, your publications apprise me that I am not alone. As I sit here waiting for the seventh day to have photocopies made of legal papers with a June 19, 2007 deadline, I understand just how much patience and hard work is required to succeed against the American oligarchy.